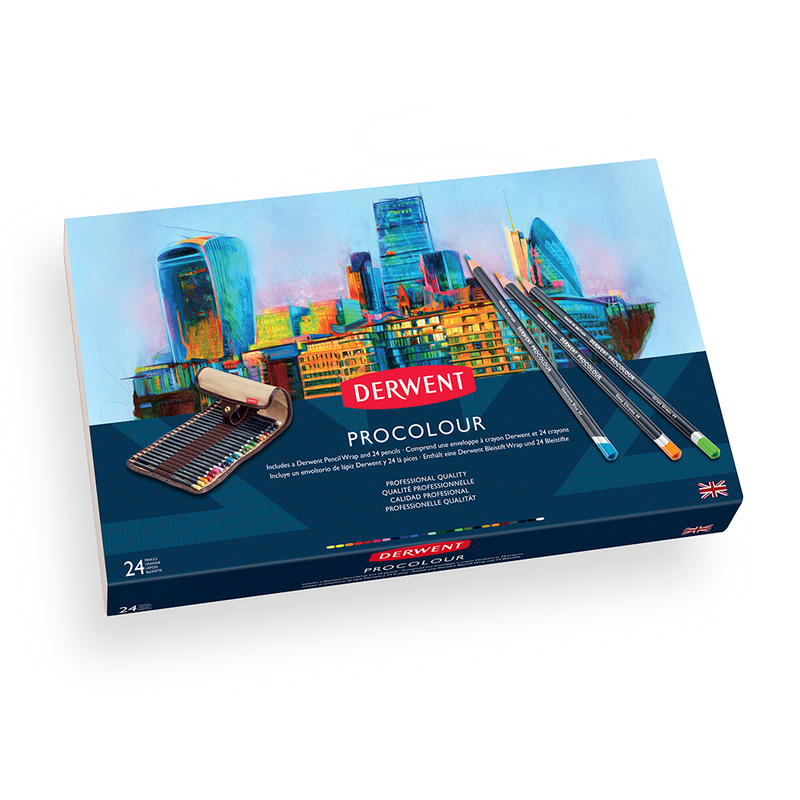 This Derwent Procolour 24 Pencil Wrap Set set pairs together 24 of the best selling pencils from Derwent’s Procolour pencil range with one of their attractive pencil wraps. 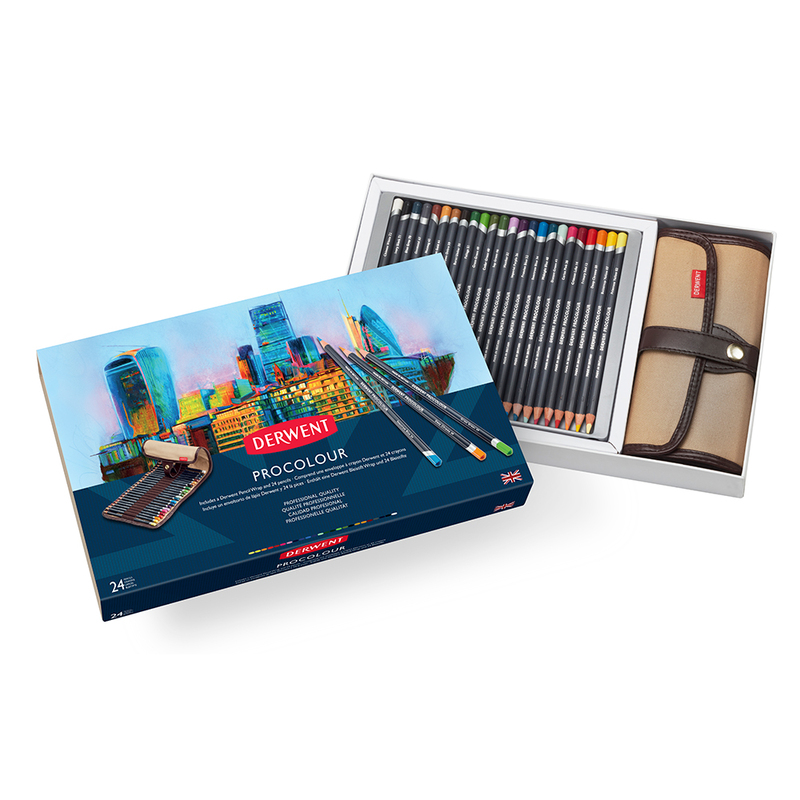 Derwent Procolour are one of the newest additions to the Derwent pencil range. Made to combine the best of the Artist and Coloursoft coloured pencil ranges, these highly pigmented pencils offer the perfect balance of a strong point and smooth colour laydown. Their sharp point gives lasting precision, and minimal dusting means that your work will stay blemish free! In this set 24 colours from the Procolour range have been combined with Derwent’s stylish pencil wrap. 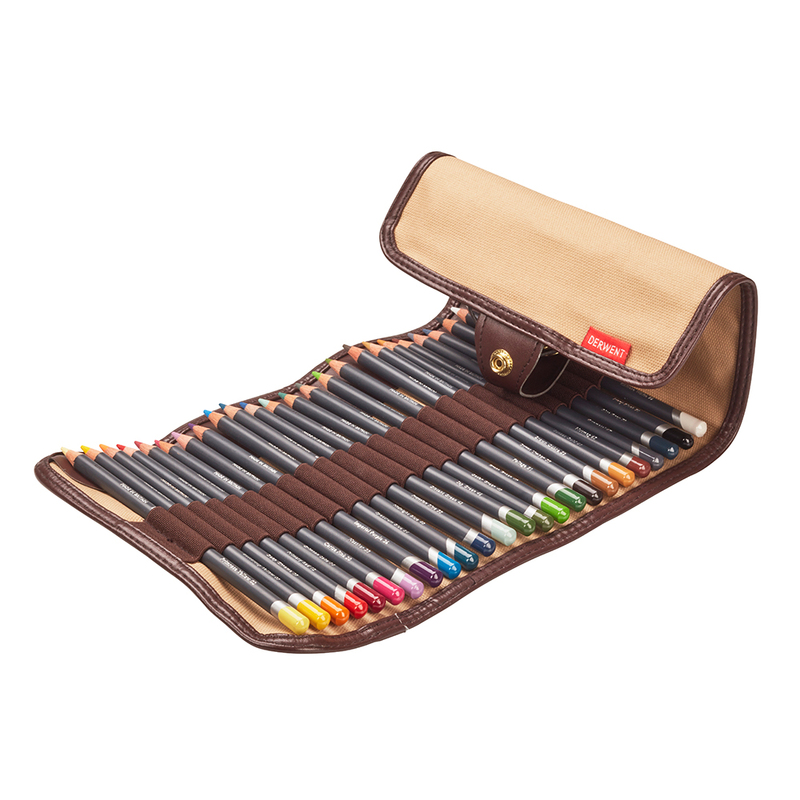 This wrap will hold up to 30 pencils and accessories and is ideal for artists that sketch and draw on the go. The wrap rolls into a small and compact accessory, and when you’re ready to draw it can be unrolled and lay flat for easy use. To see which pencils are included in the set please check the ‘Contents’ tab above.